programs, allowing for agile and efficient growth using Android. operationalize their mobile programs and support their mobile users. allowing for business growth,” stated Peter Paras, CEO, Vox Mobile. *Google and Android are trademarks of Google LLC. satisfaction levels in the industry. 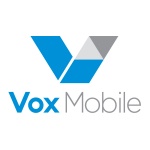 For more information visit www.voxmobile.com.